​Marcos Alonso's late header was enough to give Chelsea a 1-0 win at Slavia Prague in the first leg of their Europa League quarter-final on Thursday night. The Blues put in an underwhelming performance on the night, with several squad players failing to take advantage of the playing time opportunity gifted to them by Maurizio Sarri. The Czech league leaders, who knocked out Sevilla in the last round, were impressive in their commitment levels, and pressed Chelsea high up the pitch from the start, something which Sarri's side found difficult to adapt to. Slavia may have shown that they deserve to be at this stage of the competition, but the Blues' quality eventually showed. The Premier League side can take some confidence into the second leg knowing that they have never lost a European knockout tie having won the first leg away from home, progressing on all of the previous 10 occasions. Their Europa League record this season is extremely impressive, winning ten out of the 11 matches they've played so far, including a 100% home record in the competition with an aggregate score of 14-1 over five games at the Bridge this campaign. Even more ominous for the Czech side is that Chelsea's only home defeat in Europe since 2014 was against Paris Saint-Germain, making it just one defeat in 17 contests. Finally, Chelsea have never lost a home match in the Europa League or the UEFA Cup in the club's 59-year history in European history. 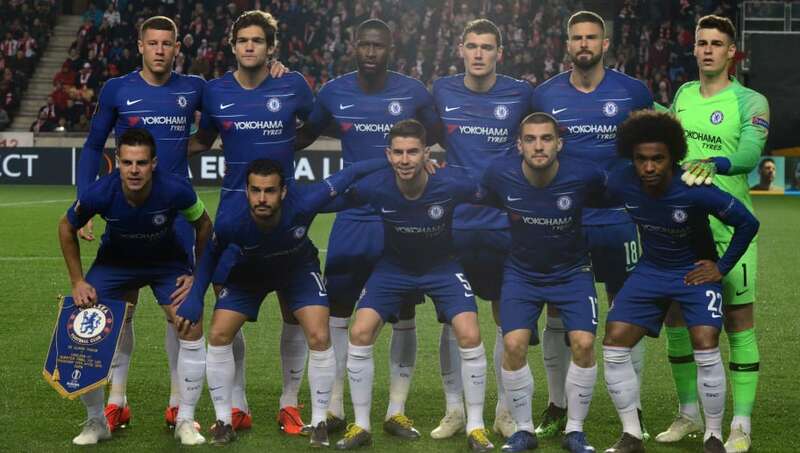 Long story short, Slavia Prague are going to have to create history to progress to their first ever semi-final, but with all of Chelsea's experience and European pedigree, it looks likely that the Blues will progress to the last four.